We've definitely started the winter season out right, from terrain park events to skiing with the GM the fun never ends here at Cranmore! The terrain park crew kicked off winter with a Shred the Solstice event on December 21st. It was an informal competition to get skiers and riders ready for the upcoming season of new features, redesigned elements and new and familiar faces. We have more events coming up this season, the next on Saturday, December 28th from competitors 12 and under. Click here for more information on the Grommet Shred Fest. On Sunday, December 22nd we kicked off our Ski with GM events, and despite the not so perfect weather, our dedicated passholders made the journey to ski with Cranmore's President & General Manager, Ben Wilcox. The conditions held up and we were able to make plenty of runs down the South Slope and Alley trails. As tradition goes, we ended the morning with Rennie Rolls, coffee, and chats with Ben. Passholders stay tuned for your next chance to Ski with the GM. We took the time to remember the great Jimmy Mersereau Monday, December 23rd. Family and friends gathered on Jimmy's Run to share stories and remember all that he did for Cranmore. As the Holiday week continues don't miss out on the fun on and off the slopes! The mountain has extended hours with skiing and riding until 6pm and the Mountain Adventure & Tubing Park are open until 9pm. Cranapalooza begins on Saturday, December 28th, enjoy s'mores in the square and be sure to head over to the Artist Falls Lodge for more fun and entertainment in C-More's Theater. Happy Holidays from your friends at Cranmore! Tomorrow, Saturday, December 14th marks the day we begin our daily operations at Cranmore Mountain. That's right, you can now ski and ride with us 7 days a week! The lifts open at 8:30am for Saturday and Sunday, December 14 & 15 for skiing and riding until 4:00pm. Be sure you're gear is ready to go with a visit to Ledges Tuning and Repair shop. We may be operating daily, but we are extending our early season ticket prices through December 20th. Ticket prices will remain, $49 for adults, $39 for teens, and $29 for children and seniors. Mother Nature has been kind enough to bless us with cold temperatures, which means Team Snowmageddon has been hard at work this week! 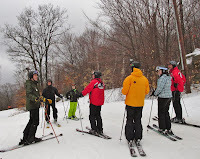 We are looking to ski and ride 23 trails this weekend, that's 6 more trails than last weekend. So dress warm, and get ready for fun on the slopes this weekend! We'll see you out there! Mother Nature didn't provide us with the cold weather we would have liked over the last week, but she pulled through Friday night with cold temps, letting our crew groom and provide some nice corduroy for Saturday morning. Saturday was cold enough for us to turn the guns on late in the afternoon and run them into Sunday. Schneider to Artist Falls to the South Slope was a great run to start the day! We hear that snow is in the forecast this week and are excited for cold weather and snow, bring it on Mother Nature! We hope to see you out on the slopes this upcoming weekend, as we open for daily operations December 14th. 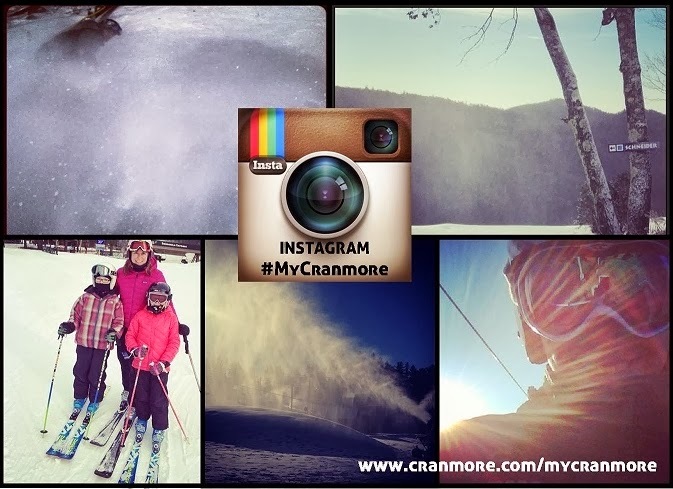 New for the winter season is Cranmore's own hashtag, simply use #MyCranmore each time you Instagram here. We'd love to share your memories, whether you're on the slopes, in the Mountain Adventure Park or on the Tubing Hill. When you use #MyCranmore through Instagram, it feeds to Cranmore's homepage www.cranmore.com/mycranmore.